The Italian Arizona Consulate is a Voluntary Agency established in Arizona by the Italian General Consulate of Los Angeles. The Consulate services are hosted by the Arizona American Italian Club of Phoenix. All documents done in Arizona at the Italian Consulate will be mailed to the Italian General Consulate of Los Angeles by the person in need of the specific filing. The Italian Arizona Consulate is only available to assist. The final responsibility and competence for each filing is with the Italian General Consulate of Los Angeles only. People in need of documents WILL HAVE TO TAKE AN APPOINTMENT with the Italian Consulate by phone or by clicking on the Appointment Calendar under Communications at the top of the page. The Consulate will only be open based on the appointment schedule. You need to specify the reason of your appointment or your appointment will be cancelled. Silvia Chiave was born in Milan, on January 16, 1975 and has lived most of her life abroad. Back in Italy for university studies, she graduated in 1998 in Economics at the Luigi Bocconi University in Milan and the following year she received a Master in International Relations at the Institute for International Political Studies in the same city. At the end of 2000 she joined the diplomatic career within the Italian Ministry of Foreign Affairs. After three years at the Directorate General for the Countries of Asia, Oceania, Pacific and Antarctica, she served from 2004 and 2006 at the Italian Embassy in New Delhi, where she was in charge for economic and trade relations along with cultural promotion. In October 2006 she was Counsellor and Deputy Head of Mission at the Italian Embassy in Luxembourg. In 2009 she returned to Rome where she was appointed Deputy European Correspondent. In this capacity, she dealt with foreign affairs, defense and European security policy also coordinating Italy's participation in the European Union mission. 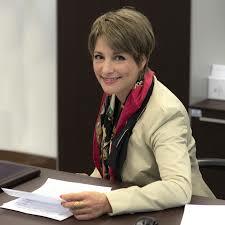 Then she became Chief of Staff of the Director General for Cultural and Economic Promotion and Innovation and, from 2014, she was Counsellor and Deputy Head of Mission of the Italian Embassy in Tunisia where she had the chance to witness the democratic transition progress of the North- African country. She took office as Consul General of Italy in Los Angeles since December 3, 2018. Consul General Silvia Chiave has jurisdiction for Southern California, Arizona, New Mexico and Nevada. Please notice that the Honorary Arizona Italian Consulate has temporarily suspended its service. We will let you know when the services will be again available. In the mean time please contact directly the Italian General Consulate of Los Angeles by following this link: www.conslosangeles.esteri.it or by calling: 1-310-820-0622.